The founder of Living Flower Essences and The Center for Plant Studies and Healing Arts in Cottonwood, AZ, Rhonda is an herbalist and flower essence practitioner who teaches herbal studies, plant life and healing journeys in nature. 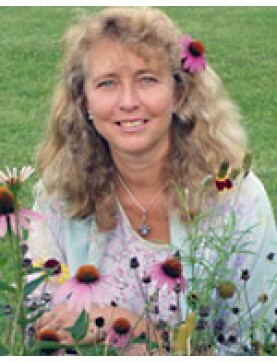 She is the author of Voices of Flowers and The Healing Power of Flowers. Speaker: Rhonda PallasDowney. A multi-media presentation on the doctrine of signatures, medicinal us..
Speaker: Rhonda PallasDowney. Make a chamomile essence, discuss its doctrine of signatures, and..
Speaker: Rhonda PallasDowney. Come visit this amazing and powerful plant in the garden. Make a ..
Speaker: Rhonda PallasDowney. Yucca elata/Spear of Destiny's use as an herb and homeopathic remedy c..
Speaker: Rhonda PallasDowney. Experience the energetics of four flower essences that calm the mind, ..
Speaker: Rhonda PallasDowney. This workshop offers an understanding of the chakra (human energy..